The 20.0 Lite gives the best of two bikes. The frame and 36v smooth delivery of the 16.0 Racing. Coupled with the larger wheels and swing arm of the full size 20.0 eco. It includes the 48v motor of the 20.0 too but runs at 36v to give a softer delivery. 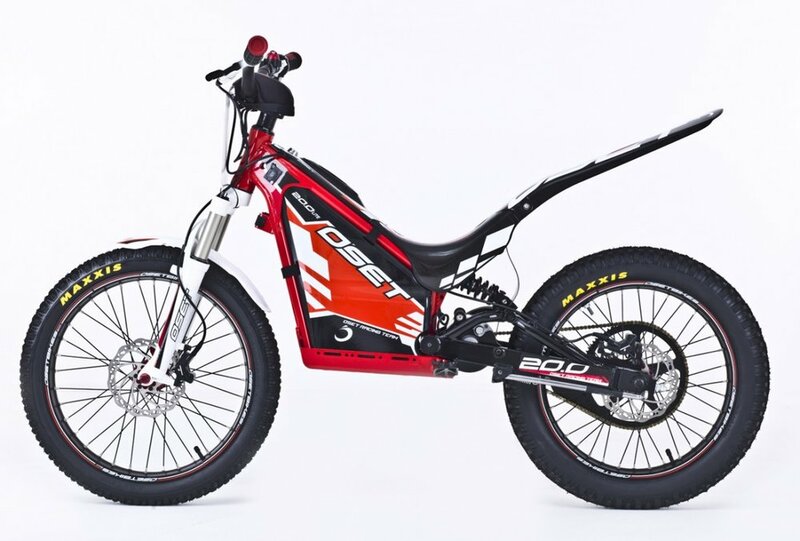 Think of the 20.0 Lite as a “big wheel” 16 Racing. For 2018 the “Lite” benefitted from new graphics, thinner handlebar grips, padded chain guard, new black footpegs and side panel velcro straps along with a magnetic motor kill lanyard fitted as standard. All of which make the new Oset range perform at the highest level yet in terms of ride quality and durability. Why change what is already working so well? The 2019 machines across the Oset range remain as per the 2018 spec. The 3 dial adjustment system is retained with incremental and individual adjustment, to the 900 watt motor, of power, speed and response. All of which can be set from 0 to 100% meaning that the power delivery can go from docile and under walking pace right up to full speed and popping wheelies! Suspension: front telescopic air/spring compression & rebound adjustable, Rear preload/rebound adjustable oil damped.